Using British actors to reboot a super-hero franchise sees Henry Cavill, joining Christian Bale (Batman) and Andrew Garfield (Spiderman) as Superman is the latest comic book character to get re-invented. In this latest offering, Director Zack Snyder unleashes his trade mark passion for lots of CGI and action to deliver a movie that is both over-long and over-busy. Christopher Nolan has been involved in scripting this film and it shows in the added depth and interest the characters possess. We know the story back to front and that's the challenge for the screenplay, Director and cast. Of all the Superman incarnations this one spends much longer setting the context and establishing the back story of planet Krypton and General Zod's enmity with Jor-El (Superman's biological father). Another significant difference is that Cavill's Superman is shown to be someone who is unsure, conflicted and vulnerable - almost too human. His adoptive earthly parents do a brilliant job in raising their son and do their best to instill the qualities that build self-confidence and the ability to balance differing views. Throughout his childhood, we are shown in flash-back, how the young Clark Kent was bullied at school and struggled not to unleash his super-power on those provoking him. But inevitably he did use his powers from time to time which reinforced his differences and helped to further distance him from his peers. In search of his true identity, he leaves the family farm on the Kansas prairie and heads out as an itinerant worker hitch hiking his was through a succession of jobs. Eventually his past catches up with him and General Zod tracks him down to earth and so the battle commences. For half the film the puny weaponry of earth is deployed against the superior alien technology of the Kryptonites. The evolutionary process on Krypton had led the race to a point where for centuries they had genetically engineered every baby for the specific role that society required them to carry out for the greater good of the people - all very utilitarian. Superman, or Kal-El as he was named at birth, was the first naturally born baby in hundreds of years and as Krypton self-destructs due to over -harvesting of the planet's power, Jor-El encodes the entire Kryptonite DNA record into Kal-El's cells. General Zod, who was genetically engineered to live a life that sought to protect the Kryptonite race and help it to survive is hell-bent on extracting the DNA record from Superman - with or without his co-operation. 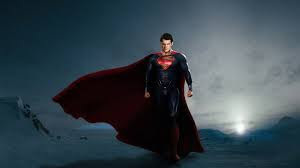 Jor-El's spirit keeps reappearing holographically to encourage his son not to give in and so for the second half of the film there is an epic battle as Superman fights off Zod and his lieutenants. The film invites the viewer to reflect on the perils of genetic engineering and where going down that road may lead us. It also serves as a stark warning about harvesting the resources of the planet in an unrestrained way that does not allow them to be naturally replenished. At the heart of the story is a moral struggle. Zod's utilitarian drive to preserve the Kryptonites at all costs against Superman's Judeo-Christian humanist ethic which pushed him to do 'the right thing'. It is all very spectacular as the familiar story is retold with creativity and a visual flourish. The characters are believable and the acting good. Russel Crowe is well cast to play Jor-El and Amy Adams offers her usual attractive self to play Lois Lane who comes through the whole ordeal without so much as a hair out of place. One to look out for is the German actress Antje Traue who plays Zod's deputy Faora-Ul - those icy blue eyes are natural - not lenses! For me, as with so many films these days, the action and fighting sequences were just too long. Every now and again the film appeared to pay visual homage to other sci-fi giants (The Matrix and Spiderman 3?) and borrow design concepts that came through with little or no modification. It produced a bit of a visual pastiche. However, all of that aside, this was a refreshing and re-energised retelling of a familiar story with strong acting, great CGI, special effects and visual design. I am sure that Henry Cavill's next decade or so is now sorted out as we brace ourselves for the unfolding adventures of this incarnation of everybody's favourite super-hero. Go and see it for good escapist fun and cutting edge cinema. I'll give it 7.5/10. The one thing I didn't enjoy about this film is extent of the destruction and the millions of deaths that were portrayed. Unnecessary images for a comic book story. It's an issue with many superhero films ... creating the danger that we begin to undervalue life in the real world. Completely agree. It was amazing how quickly Manhattan was rebuilt and how the planet seemingly suffered no after effects from undergoing antipodean terra-forming! One problem with CGI is that we create virtual people with the intention of visualising them as being real. This then runs the risk of desensitising viewers as reality becomes confused with unreality. A deeper pathology to explore is why we might cheerfully assign mishap and harm to virtual people which is in fact a transference from our reality. Where is grace and generosity in that? What is it that this type of film provides for viewers as a pay-off? One way to see super-hero mass destruction is as a timely corrective to quicken our resolve to value the things we already have and cherish. Perhaps this film can spur us on to make sure we don't produce and Zod's, or strip our planet bare of its resources. For me it also exposes the inherent problems with utilitarianism as an ethical system.